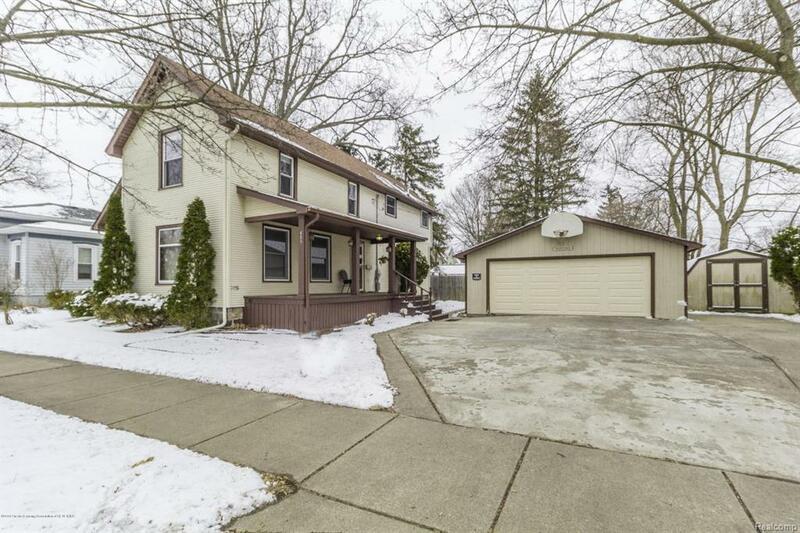 Lovely two story home with a 2.5 car detached garage and storage shed located one block from downtown Grand Ledge. The newer renovated 2nd story features a large master bedroom with vaulted ceilings, walk-in closet with skylights, master bath with double sinks, jetted tub/shower combo with another skylight. This floor also features a balcony with a beautiful 6' leaded glass Peach Tree slider and the 2nd bedroom. At the top of the stairs is an open loft which could serve as a 3rd bedroom, office, or den. There is another full bath on the first floor and a first floor laundry room. Walk outside to a deck, patio and large covered porch to enjoy the nice summer days! IDX provided courtesy of Realcomp II Ltd., via Sun Realty & Chuck Pantera Appraisal Company and Greater Lansing AOR MLS, ©2019 Realcomp II Ltd. Shareholders.